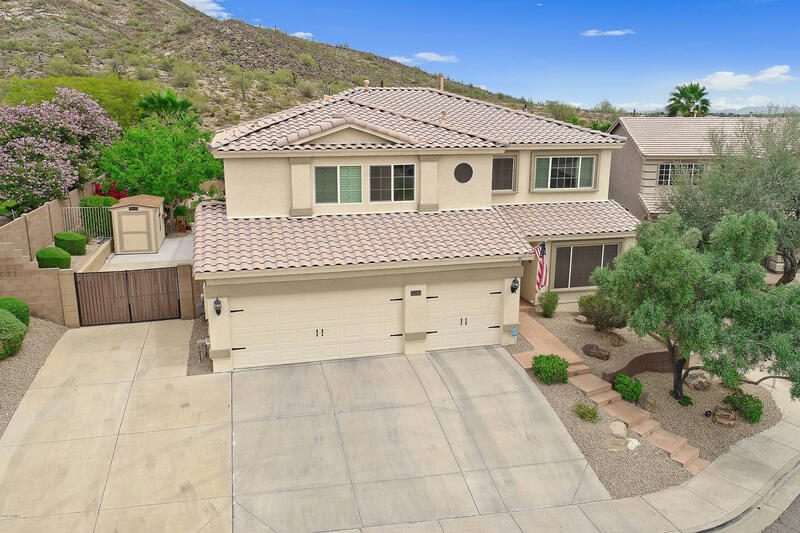 All ENTRADA NORTHEAST homes currently listed for sale in Phoenix as of 04/19/2019 are shown below. You can change the search criteria at any time by pressing the 'Change Search' button below. 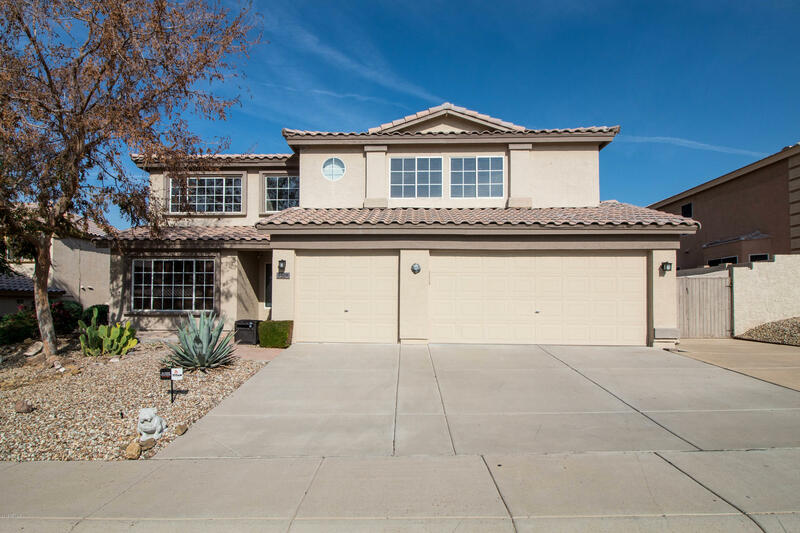 "Gorgeous 5 bedroom 3 bath home in Entrada. Upgraded flooring, ceiling fans & fixtures throughout. Large kitchen with pull out cabinets, granite counters and stainless steel appliances. Master bedroom upstairs with walk in shower, dual sinks & custom window treatments. 3 Car garage has room for extended cab truck. Spectacular mountain views in backyard! Heated pebble tech pool with hot tub, BBQ, large storage shed & RV gate. Must see!" 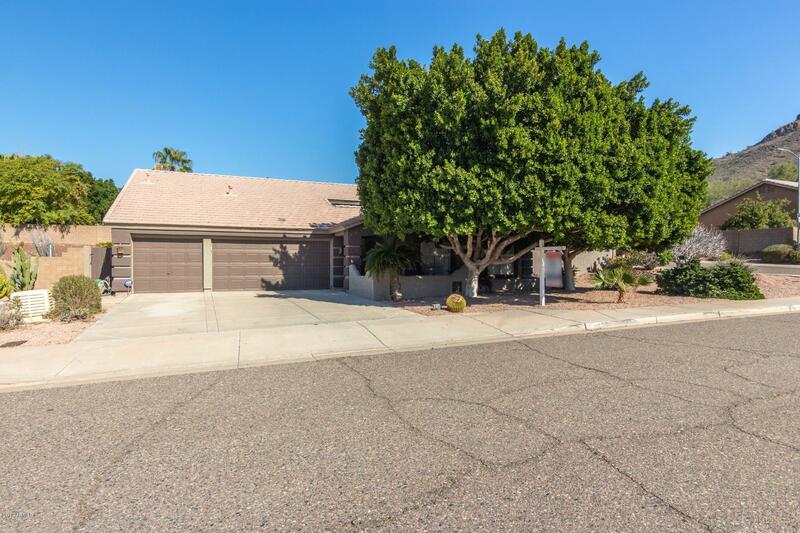 "Spacious 3,098 sf home in North Phoenix with beautiful mountain views! The cabinets in kitchen have been recently refinished. The kitchen features a large island, slab granite counter tops, glass tile backsplash, stainless steel appliances, gas range, and built-in cabinets in the eat in area that you could use as a bench. The living room is inviting with wood floors & a 3-way gas fireplace. Elegant bathroom downstairs w/vessel sink and custom tile surround in the walk-in shower. Loads of closet "
"Great 4 bedroom, 2 bath home w/ pool and 3 car garage. New carpet & interior paint. Newer exterior paint. Currently a 3 bedroom - seller willing to convert to 4 bedrooms. Iniviting entrance w/ vaulted ceilings & beams. Separate living & family rooms. Formal dining. Kitchen features corian countertops, tile backsplash, & eat-in kitchen. Large master bedroom w/ walk-in closet, and exit to patio area. Master bath features dual sinks, separate shower and garden tub. Entertaining backyard with full"